Claudia was born and raised in Guatemala. She came to Chicago five years ago and has a 6 year old daughter who is completely bilingual. Although she has a degree in Industrial Design with a major in Fashion, Claudia has been working as a teacher for more than ten years. She has worked with children as young as six months and as old as twelve. 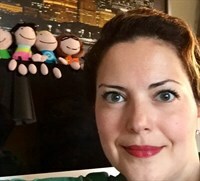 While most of her experience has been teaching Art to kids in the age range of two to twelve, she has also been an instructor for Enrichment Techniques, Baby Sign Language, Music, Drama, Science and Spanish as a Foreign Language. Claudia believes that all these subjects enrich the lives of children and help them grow up to fulfill their potential. Melissa is from Venezuela. Everybody calls her Meli or Mel. 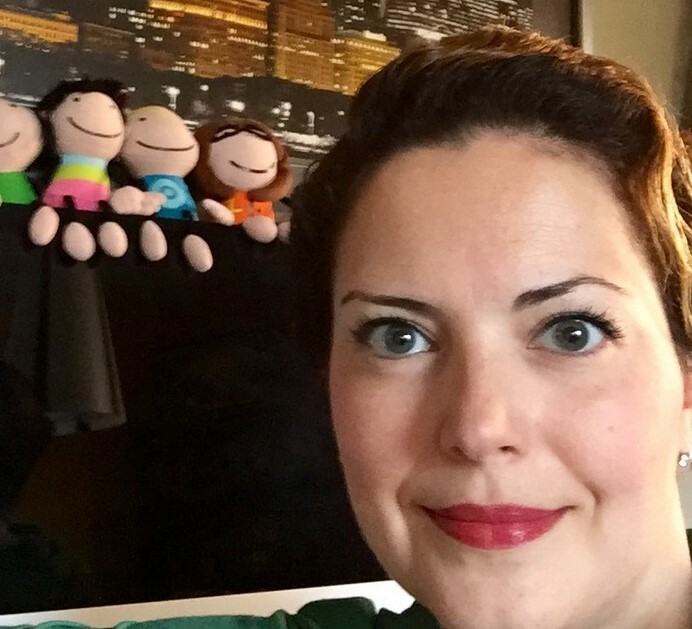 Melissa has eight years of experience teaching English in her country and teaching Spanish here in Chicago. She has taught children and adults in schools, private lessons and at various institutes. Melissa likes watching movies, photography, reading mystery books and practicing yoga. Her favorite food is Italian. AnaCe is from Lima, Peru. She has tons of experience working with children of different ages. She holds a BA and Post Degree in Education. Her passion is teaching and because of that she has traveled a lot and has had the opportunity to interact with children from different cultures. 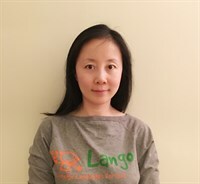 At Lango, she works as Lead Teacher and Trainer. In her role she has the rewarding opportunity to support teachers and learn from them as well. She likes to cook Peruvian food and enjoys the snow, but not the cold. 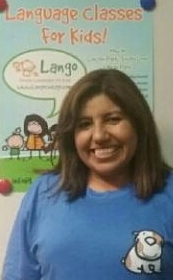 Ms.Maritza has been working for Lango Chicago for two years and her experience with Lango has been amazing, she days! Ms.Maritza worked as an after school Spanish Instructor but luckily she became an In-Service Spanish Lango Teacher. She has experience working with children of all ages from Pk-8th grade. She enjoys learning from her students!!! Mrs.Erika Quiroz Gonzalez was born and raised in Mexico City. She is a certified Spanish teacher graduated with honors from Chicago State University. Thanks to that, she consider herself able to share with all of her students a part of her culture and traditions. 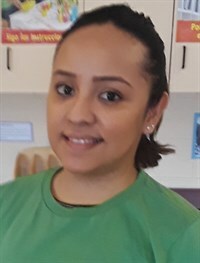 Mrs.Erika loves being a Lango Spanish Teacher, "it is very rewarding to see the students learning and progressing from day one" she says. She is very good in using different teaching strategies to help students to reach the goal of learning and making the classes enjoyable and memorable. 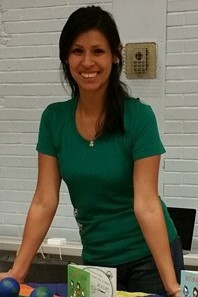 Proud Mexican, Mrs. Zoraya Martínez have been working as a private Spanish tutor during 8 years, when Chicago became her home. "I love to teach Spanish, because is a beautiful, wonderful language, full of energy and cultural richness". She worked in government children's programs in México, particularly in reading and writing programs for children. "LANGO is a teaching approach, easy and fun, where I can teach and enjoy the class with children, singing, jumping, dancing its a great workout too". She likes to be called Zory. She truly believes that giving the opportunity to kids to learn another language is the best heritage that you can leave to them and to the world. Victoria loves working with kids and is so happy that she gets to work with them every day! Victoria attended DePaul University where she majored in Spanish and Economics. She has studied in both Chile and Spain and has had the joy of getting to backpack all around Latin America. She has worked with children through the Old Town School of Music summer camps and as a daycare attendant at Church of our Savior. She lives in Hyde Park and when she is not working she can be found playing badminton or strumming her banjo!